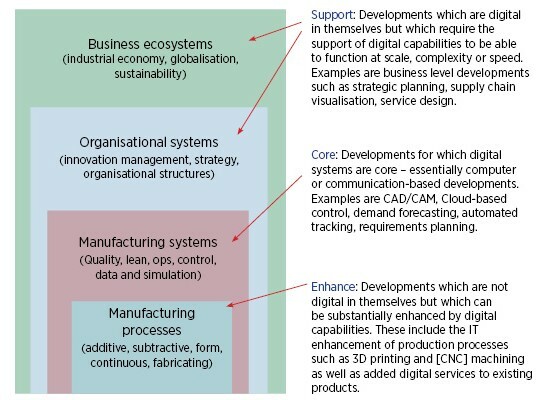 Digitilisation affects all aspects of the manufacturing cycle and all levels of business. The IfM takes a four-level approach to its research portfolio (see below). The impact of digitalisation is different at each level. Click here for a list of current digital manufacturing projects in these four areas.